Create an attractive area where guests can hang their hat, and coats. 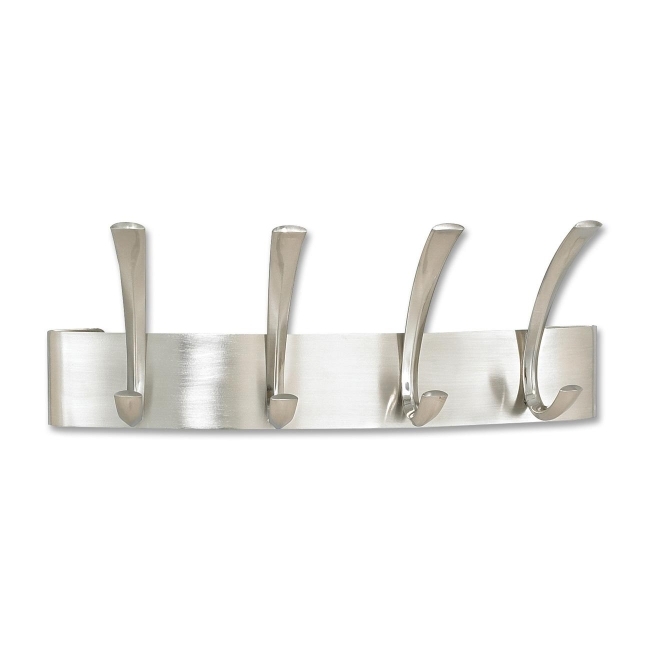 These three metal coat hooks with an alluring, brushed nickel finish are made of steel and have a matching back plate that arcs outward from wall. Coat hooks include mounting screws.